Dim Sum is like Thai food for me… I love it, can’t get enough of it, and find I enjoy it most when it’s served up cheap in some back-alley hole in the wall. I’ve tried Dim Sum in fancier settings, but it always seems to lack the flavor of the more rustic shops. I also really love brunch at the St Regis in Singapore. So when I heard about Yan Ting’s dim sum brunch at the St Regis I decided to set aside my bias towards expensive Dim Sum and give it a try. To jump ahead a bit and spoil the surprise – they do manage to provide good value for the amount charged, but not necessarily in the ways you’d expect…. 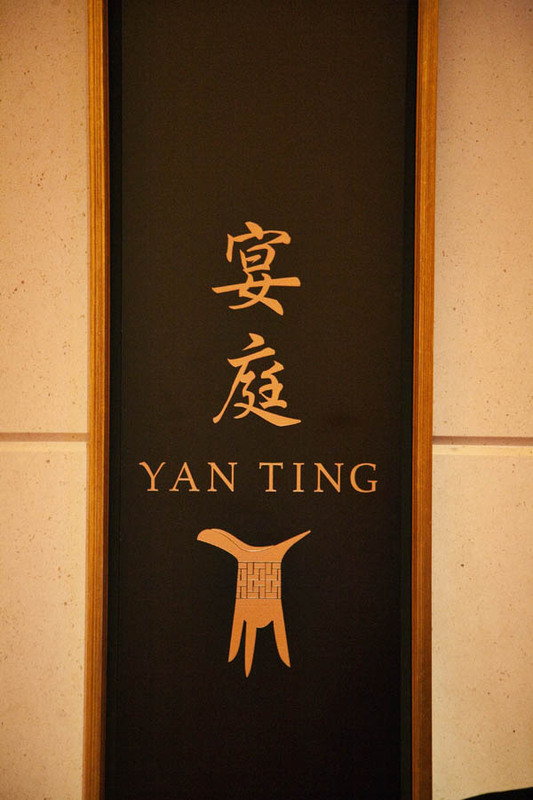 Yan Ting is located in a secluded corner of the St Regis Singapore, a contrast to the brightly sun-lit western brunch downstairs. 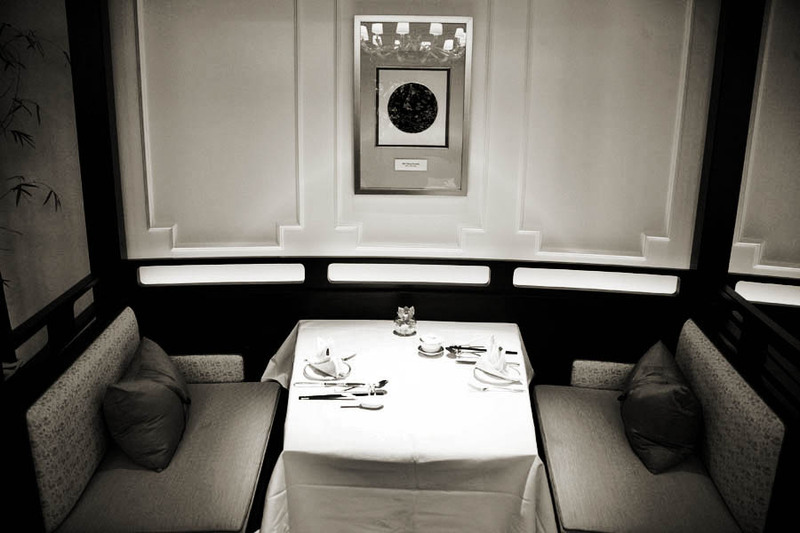 The walls are tastefully decorated with Chinese art and diners are given a choice of simply adorned booths or round tables. 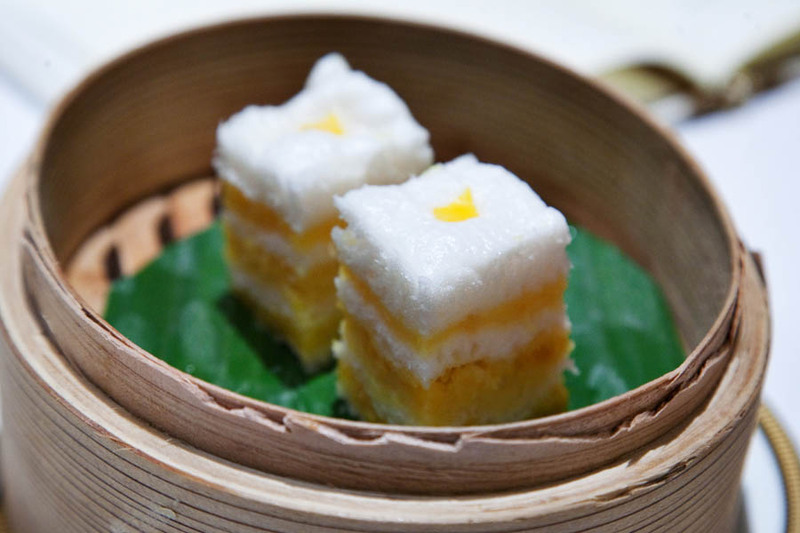 The dim sum brunch is all in at 72 SGD per person with free flow Juice. You can upgrade it to a boozy brunch of Moet & Chandon Brut for 98, Veuve Clicquot for 108, and if you’re after true indulgence for 298 you can enjoy Krug Grand Cuvee. With the brunch you are given a menu from which you can order to you heart’s delight / waistline’s demise. To start your meal you’re given a bowl of the highly controversial Shark Fin’s Soup. 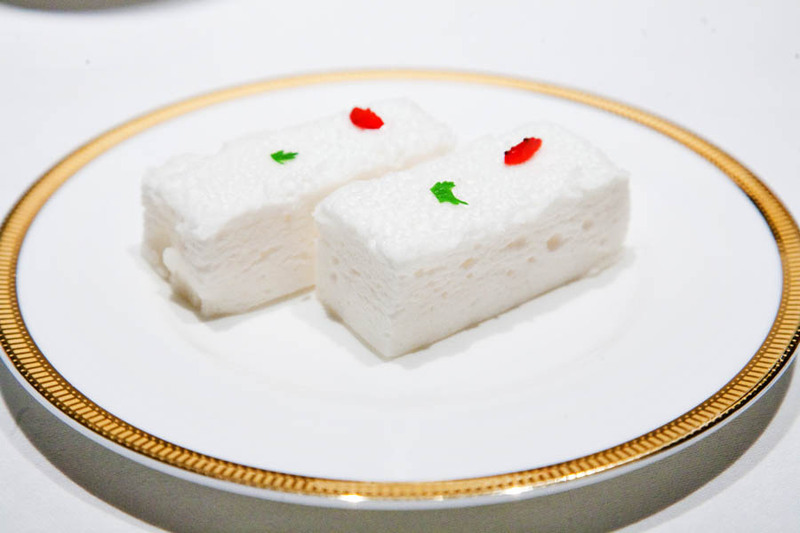 To be honest I’ve had this dish at countless Chinese weddings and prefer the fin to come in a larger chunk (or whole for the truly decadent). The shark fin soup here is served in stringier bits and lacked the hearty flavor I’m used to. For those who don’t know a shark’s fin has absolutely zero flavor on its own and doesn’t add to the soup in any way except texture (and believed health/prosperity bonuses). Possibly Bangkok’s tastes for shark fin soup differ from Singapore? 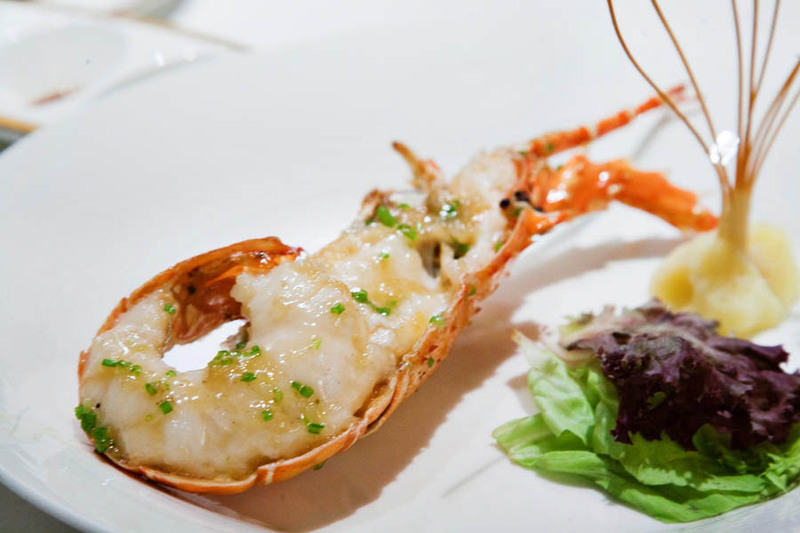 You then given a choice of three different lobster with – garlic and butter, cheese and bacon, and superior stock and spring onions. Definitely go for the garlic and butter as the cheese and bacon (while a great flavor profile) completely masks the lobster. 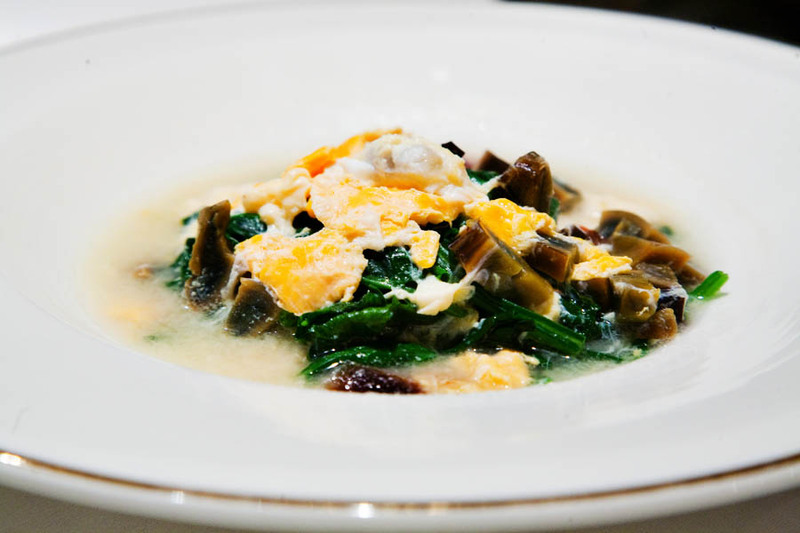 You could really be eating anything under the mountain of melted cheese. Char Siew Bao – Fluffy Steamed BBQ Pork Bun. 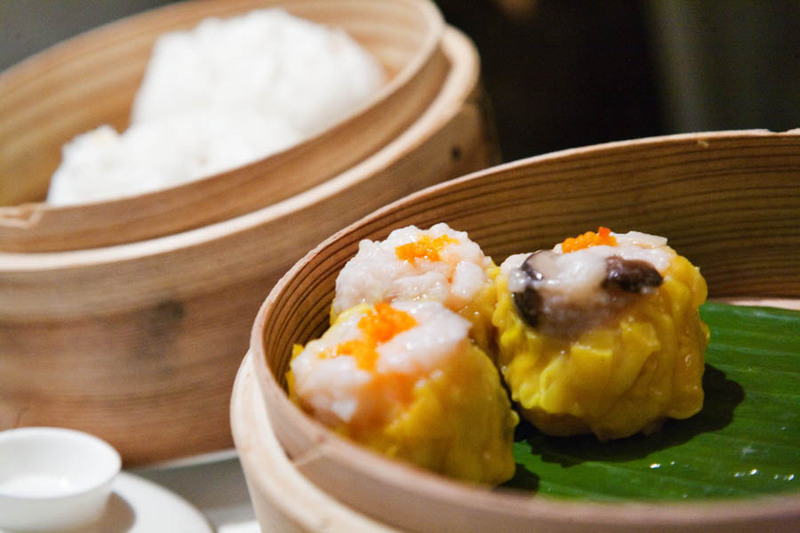 Siew Mai – Steamed Pork & Shrimp Dumpling (both pictured above). 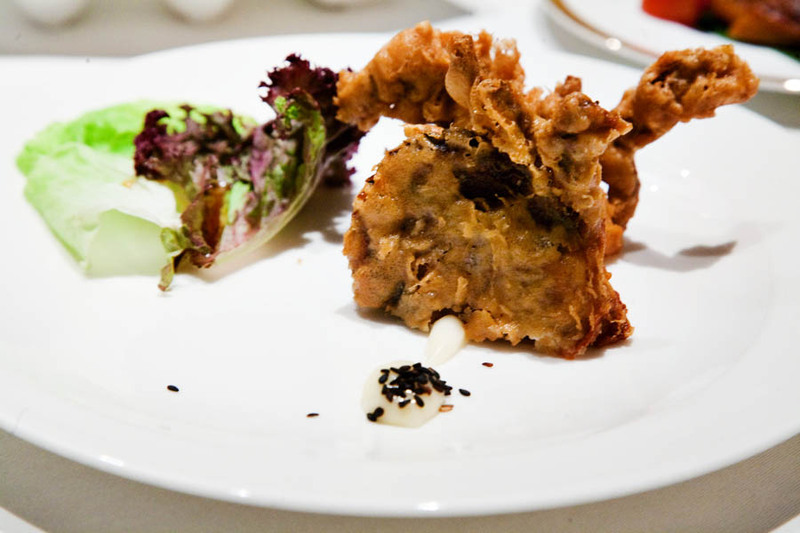 Then a Soft Shell Crab with a Black Sesame Mayo. Then we ate Stir Fried Baby Ceylon Spinach in XO Sauce. 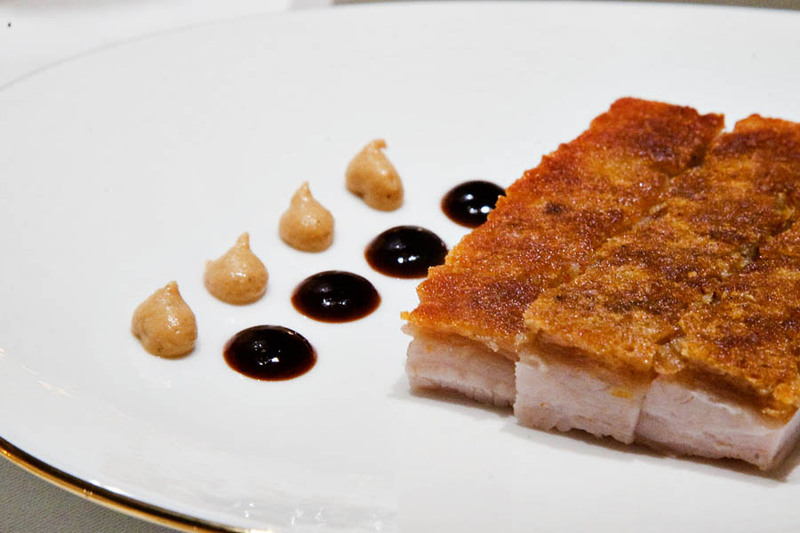 After that we enjoyed cubes of Crispy Pork Belly Served with Spicy Wasabi, Mustard, and Soy. You can’t ever go wrong with pork belly. 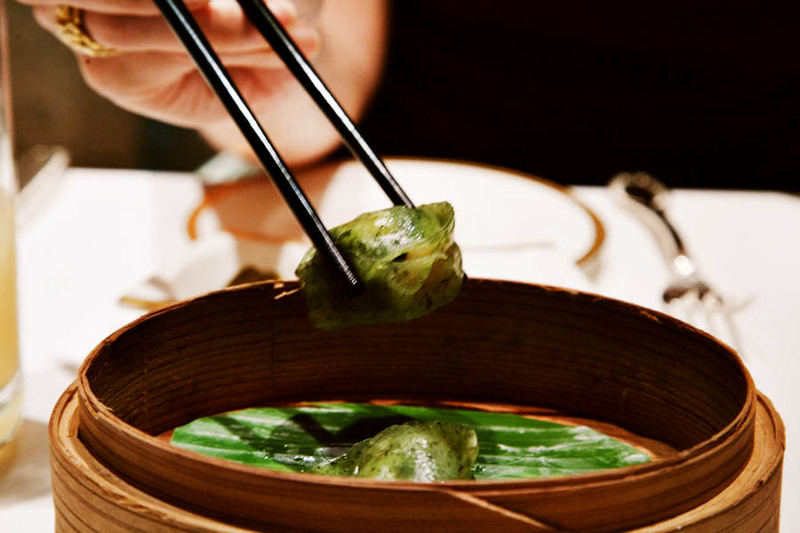 Next out was a Steamed Emerald Spinach & Shrimp Dumpling. It looked like an Italian pasta more than a dumpling, but the taste was classic Chinese. On the waiter’s suggestion we ordered the Terriyaki Unagi. This was a bit of a miss for us as it was very fishy. Perhaps not suited to our palates or maybe older fish?
) starting with the Thousand Layer Cake… not a thousand layers by a long shot but still tasty. 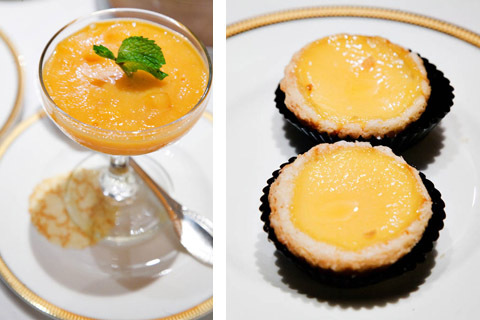 Mini egg tart & Mango Pudding. With our bellies full we reflected over the meal. The Dim Sum for the most part was standard with some better than average. 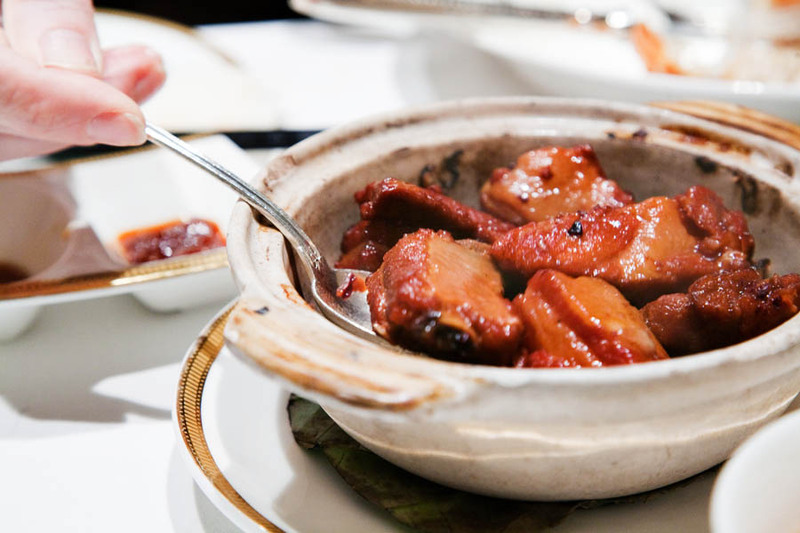 But factoring in the lobster, soup, extra dishes like pork belly, and desserts… coupled with the nice venue the value is there. Sure you can get Dim Sum cheaper on the street somewhere and some particular ones might be better from a more specialized shop, but for a special treat, occassion, or if you’re just looking for air conditioning and a pleasant wait staff, Yan Ting’s offers a pretty good value. When you add alcohol to the ticket, considering a bottle of Veuve at most places is almost as much as this brunch option, the deal becomes that much sweeter. 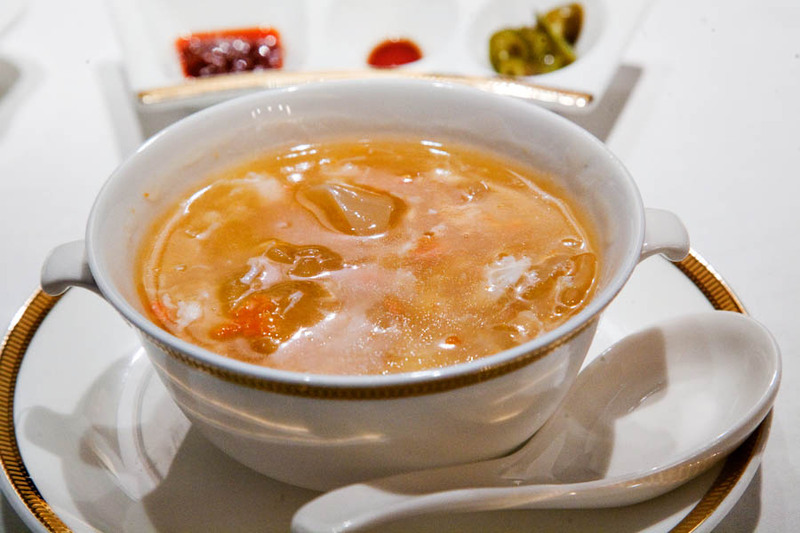 Shark fin soup is controversial, yes, and for good reasons. Statistics speak for themselves in terms of shark finning and consumption of shark fin soup. I’m glad you linked to Wiki on that one. 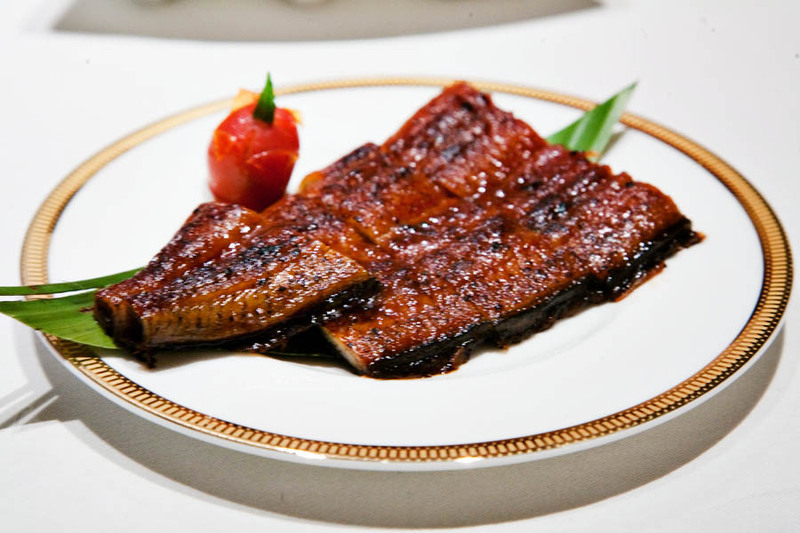 -Over 100 million sharks are killed every year, most of which due to the demand for shark fin soup. -Major declines in shark populations have been recorded in recent years—some species have been depleted by over 90% over the past 20–30 years with a population decline of 70% not being unusual. -Experts estimate that within a decade, most species of sharks will be lost because of longlining. @Marie – I agree, but get a life!